Welcome to Midwest Equipment. We specialize in customer satisfaction. With our factory trained staff and technicians, let the experts at Midwest Equipment help you with all your outdoor power needs. 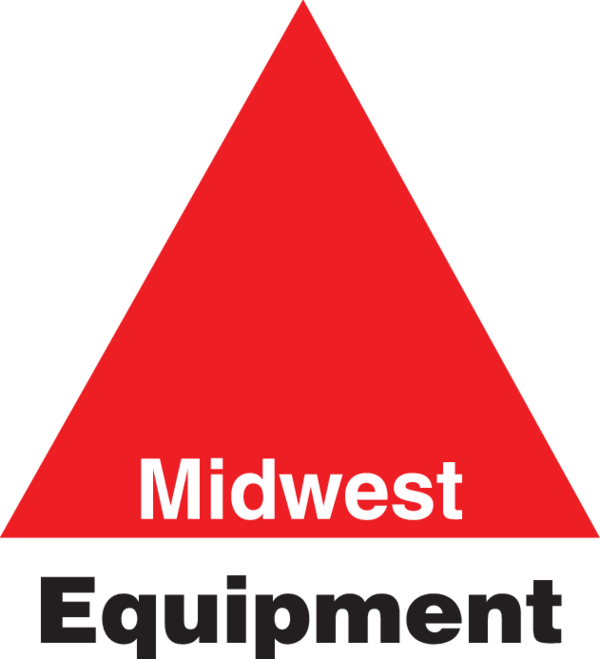 Midwest Equipment sells and services most brands of equipment. 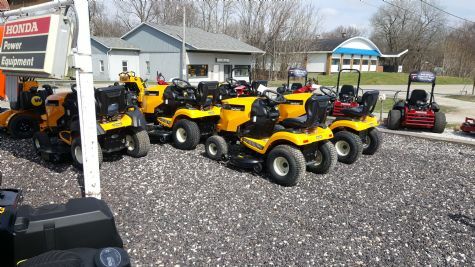 Ferris, Stihl, Kioti, Honda, Toro, Generac, Cub Cadet, Wright and Grasshopper, plus many others. Stop by one of our conveniently located stores in Peoria, Normal or our newest location in Metamora. 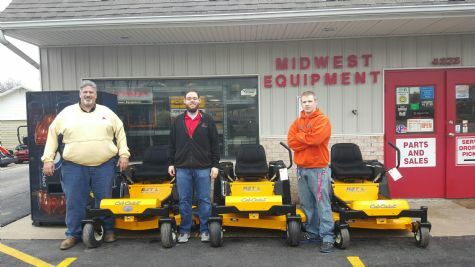 Midwest Equipment where we are "More than Just Mowers"! Midwest Equipment 4826 W Farmington Rd Peoria IL 61604 Phone: 309-265-0774 Email: peoriasales_nate@midwestequip.com Midwest Equipment II 2150 W College Ave. Normal IL 61761 Phone: 309-319-7078 Fax: 309-454-6870 Email: normalsales@midwestequip.com Midwest Equipment III 1001 W. Mt Vernon St. Metamora IL 61548 Phone: 888-699-3379 Email: metamorasales@midwestequip.com Come by and see us for Cub Cadet product demonstrations. If you are not sure which Cub Cadet product is right for your needs, we will assist you. As always, we want you to have the right Cub Cadet product for the right job. For years our customers have turned to us when they needed outdoor power equipment and also when they've needed that equipment serviced. We are proud of our commitment to our neighbors and community and it's our promise to you that we'll help you find the right product to fit your needs.